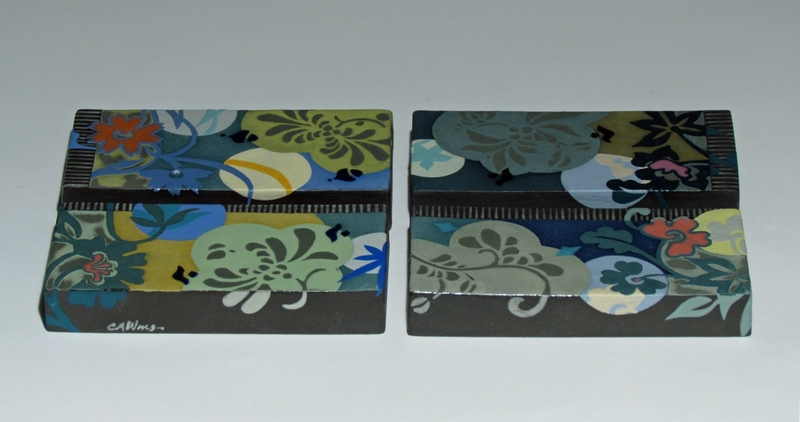 This strikingly interesting, floral art tile is reminiscent of days long gone yet maintains a contemporary appearance. It's kind of like my grandma's kitchen. There's a little something retro about it, maybe a little exotic and definitely "art nouveau" inspired. Collect one or group several together. 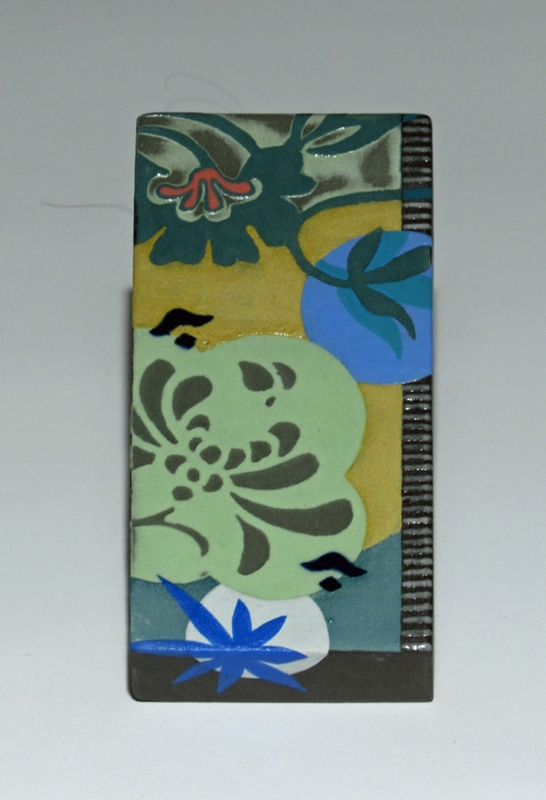 Ready to hang vertically or horizontally, this rectangular tile measures just under 5.5" on its longest side, 2.5" on its shortest side, with a depth just over 0.75". It features a textural surface, created by using two resists (wax and shellac) with layered, colored porcelain slip; it is highlighted with a gloss glaze in certain areas while the background remains matte (unglazed porcelain). This striking contrast between gloss glaze and matte adds depth of pattern and catches the light. 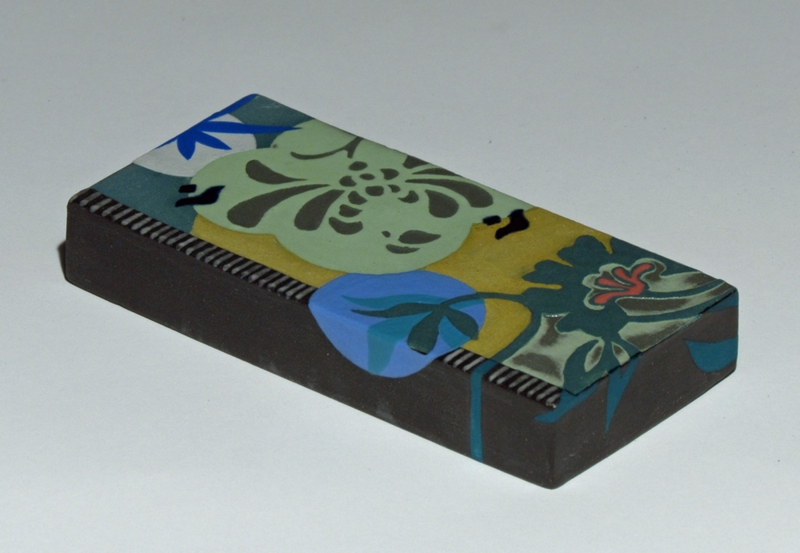 I use a high-fired porcelain clay body, rendering the tile very robust. The tile is a slab-constructed, hollow form. 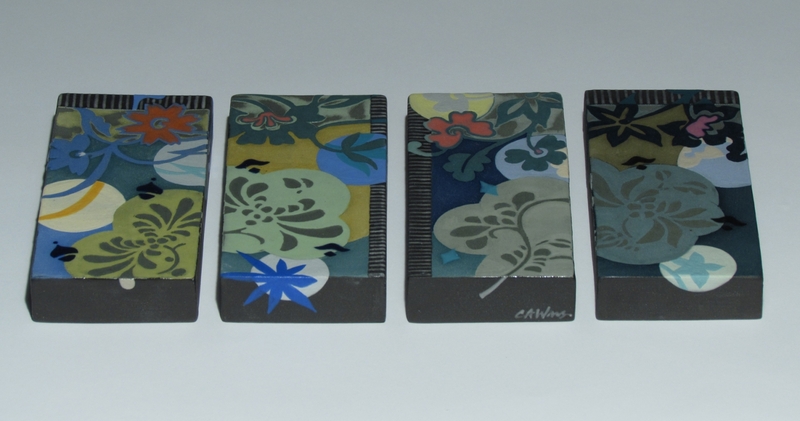 The color is achieved by using hand-colored porcelain and underglaze as embellishment, so it's permanent. Four nail holes (two, for either vertical or horizontal orientation) are on the backside of the piece, allowing for a flat, clean, wall-to-tile placement. Copyright@2016 ColleenWilliamsClay. All rights reserved.